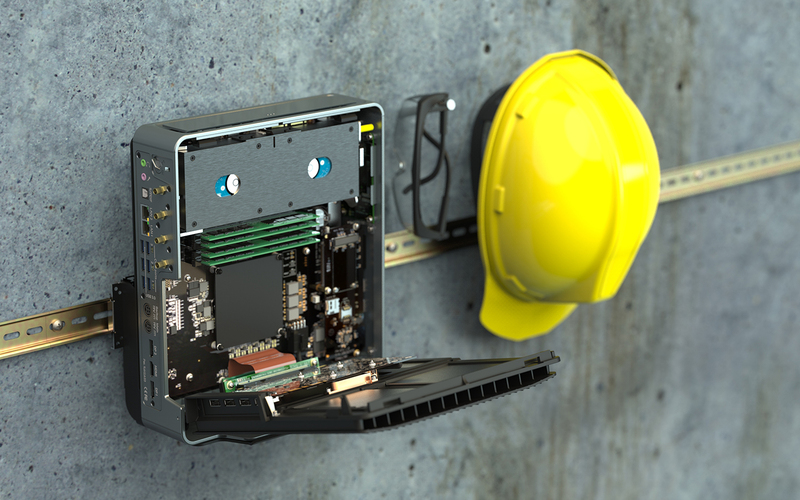 Yokneam, Israel 23-Apr-2019 – Compulab is introducing Airtop3 – a ruggedized small-form-factor fanless IoT edge server powered by an 8-core Intel® Core™ i9-9900K Processor and Nvidia Quadro RTX 4000, both passively cooled using Compulab’s Natural Airflow technology. With a footprint of just 7.5 liters, Airtop3 can passively dissipate up to 300W and operate at a wide temperature range of -40°C to 70°C. Airtop3 ships with a 5 year warranty. IoT edge server can reduce processing latency, network bandwidth requirements and TCO, provided that it is sufficiently powerful, robust and easy to deploy. Airtop3 supports 9th Generation Intel® Core™ i9 Processors and future Intel® Xeon® E Processors, including the highest power 95W Core i9-9900K. The maximum RAM capacity is 128 GB DDR4-2666. 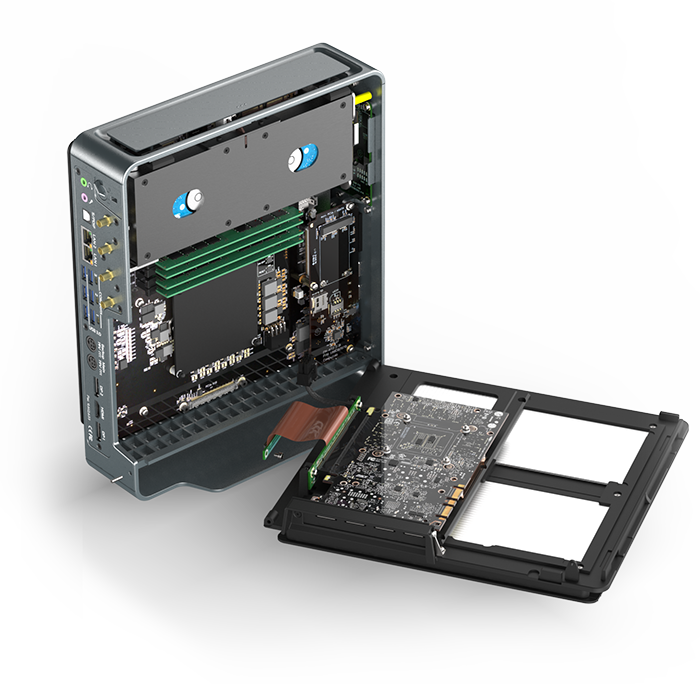 Standard storage is comprised of 6 devices – two NVMe SSDs – up to 2 TB each and four 2.5” SATA 3 HDD/SSD with RAID support. Standard networking includes two GbE ports and support for Wi-Fi 802.11ac and 4G modem. 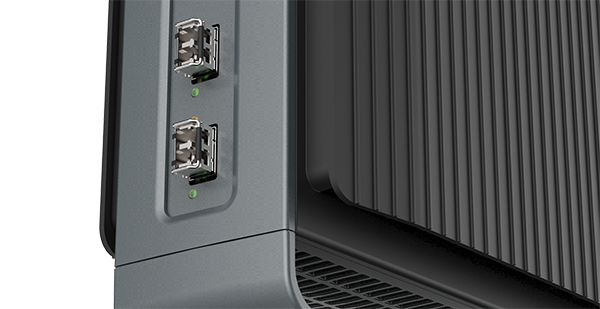 Standard I/O includes 3 4K displays, 6 USB 3.1 ports, 3 RS232 and audio. This feature set may be satisfactory in some cases, but IoT has many specialized applications – deep learning may require a discrete GPU, automotive applications often require high capacity of high-speed storage, machine vision usually utilizes integrated PoE ports. For these use cases and other, Airtop3 offers functional enhancements. 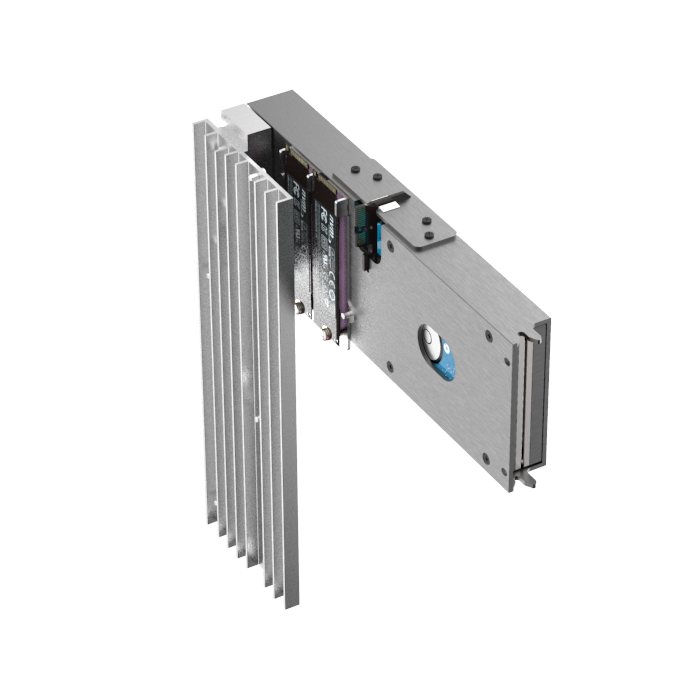 Airtop3 has a PCIe x16 (PEG) slot with Natural Airflow passive cooling that supports up to 160W Quadro RTX 4000 graphics card. This powerful CPU + GPU setup is effective for low latency edge analytics workloads involving image recognition, machine learning or inferencing. 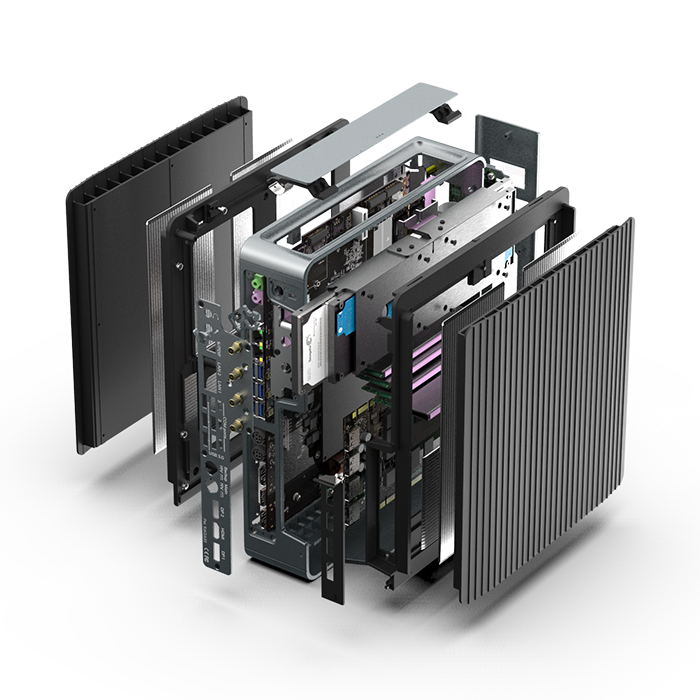 The four displays of the graphics card can work in tandem with the integrated graphics for a total of seven 4K displays. The standard two NVMe cards and four 2.5” SATA SSD/HDD support up to 20 GB with RST or software RAID and are passively cooled in a dedicated thermal zone. Storage can be enhanced using Airtop3’s NVM3 card installed in the PEG slot. 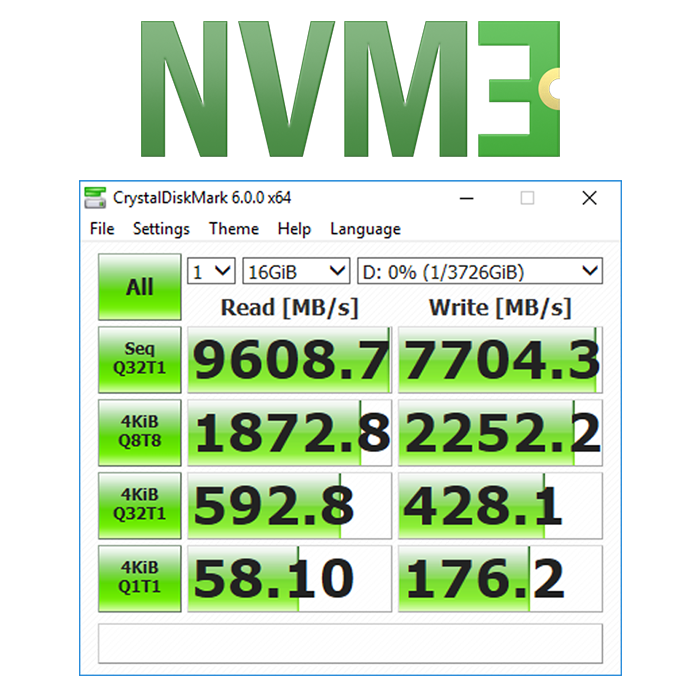 NVM3 supports additional three NVMe cards up to NF1 30110 form factor. NVM3 enables remarkable data rate of over 9500 MBps and increases max storage capacity to over 60 TB. 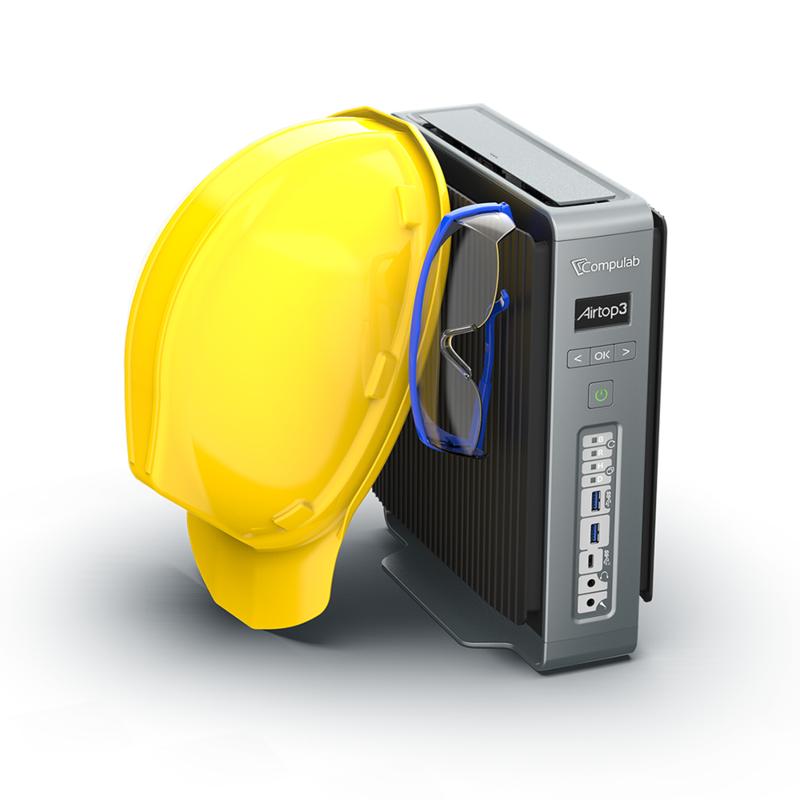 It allows installing SSDs with power loss protection (PLP). Airtop3 cooling is based on Compulab’s Natural Airflow technology that stimulates airflow without moving parts – by the waste heat of the 3 major heat sources (CPU, GPU and storage devices) each having a dedicated thermal zone. The 7.5 liter housing is all-aluminium made of die-cast and extruded parts with precision machining for seamless fit, shock and vibration resistance. Airtop3 supports Compulab FACE Modules (Function And Connectivity Extension Modules) which enable various application specific networking and I/O capabilities. A new FACE Module designed specifically for Airtop3 – FM-AT3 adds 2x USB 3.1 gen 2 (one USB type-C) + 1x USB 3.1 gen 1, front audio jacks, mini-PCIe socket with SIM card, micro-SD and diagnostics LEDs for troubleshooting RAM, BIOS and display issues. 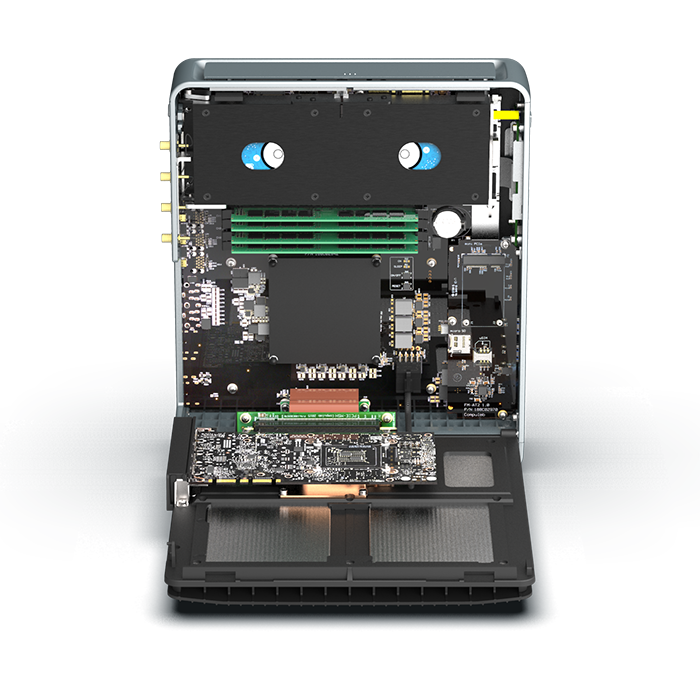 It is very easy to install RAM and storage devices in Airtop3 thanks to the clamshell tool-free opening. 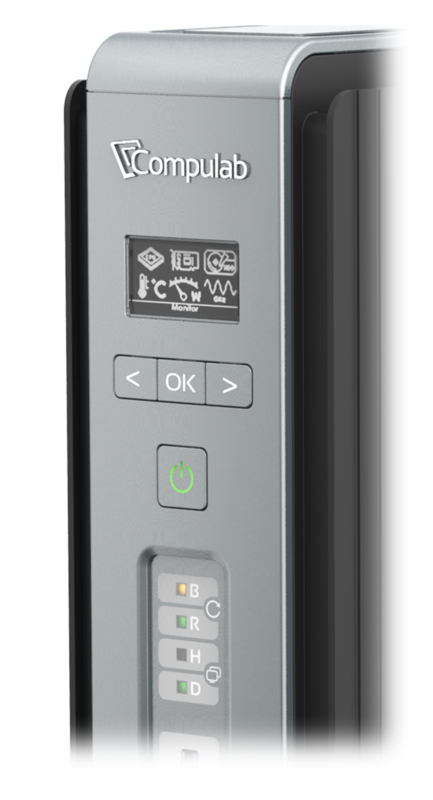 Airtop3 includes the I3M OLED display – for displaying vital runtime information including clock rate, temperature and power consumption. 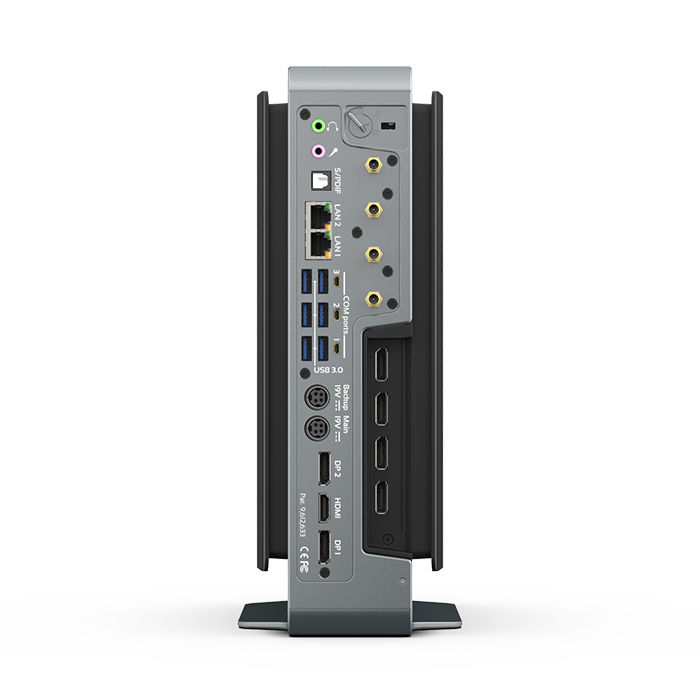 Airtop3 is available now from Compulab starting from $999 for the barebone Celeron based AIRTOP3-C4900-FM0.